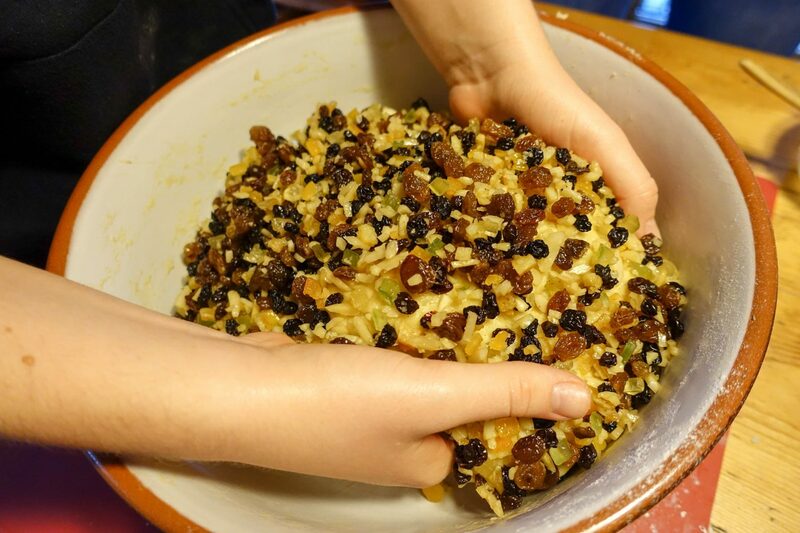 I started the Stollen project this year in early November, together with our 15 year old daughter. She is our declared baking expert and always looking for customers, because we four impossibly can eat as much cake as she bakes. 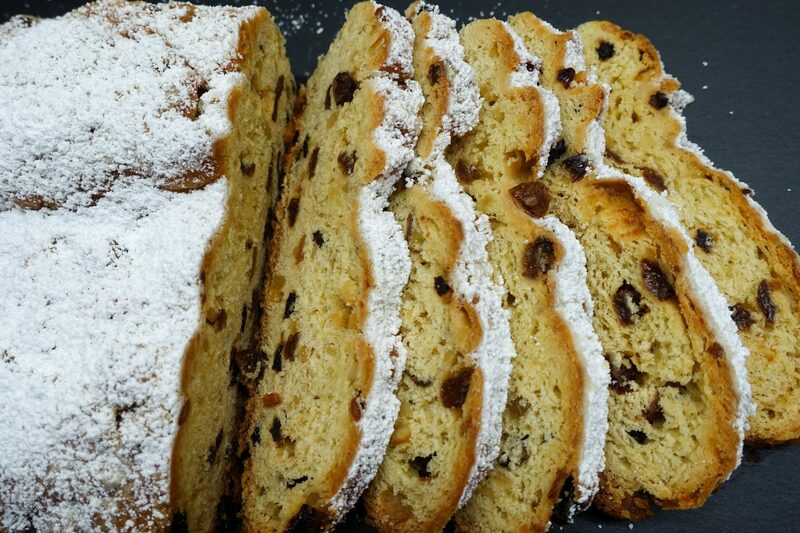 OK, we could of course, but would look very different soon… Mid-November we kneaded our first Stollen loafs and noted that it probably is the pastry that requires the most patience of everybody. 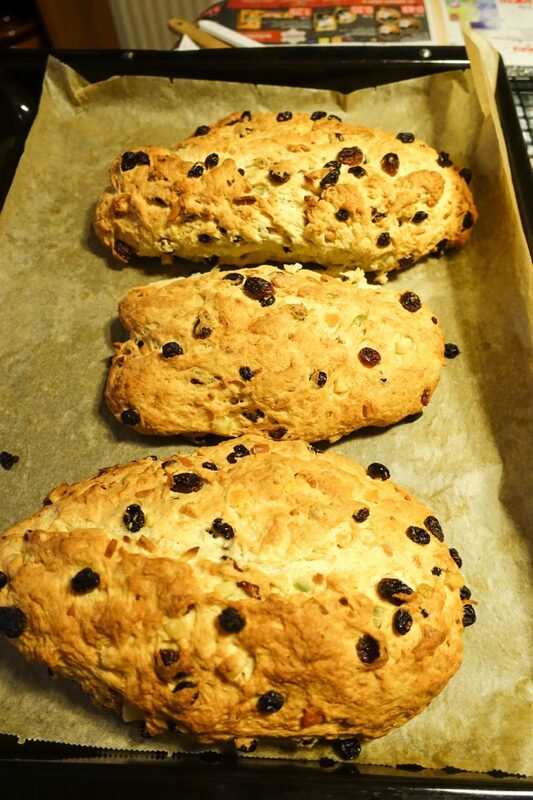 Due to the long yeast rising and baking times as well as due to the week-long resting time until it is good. 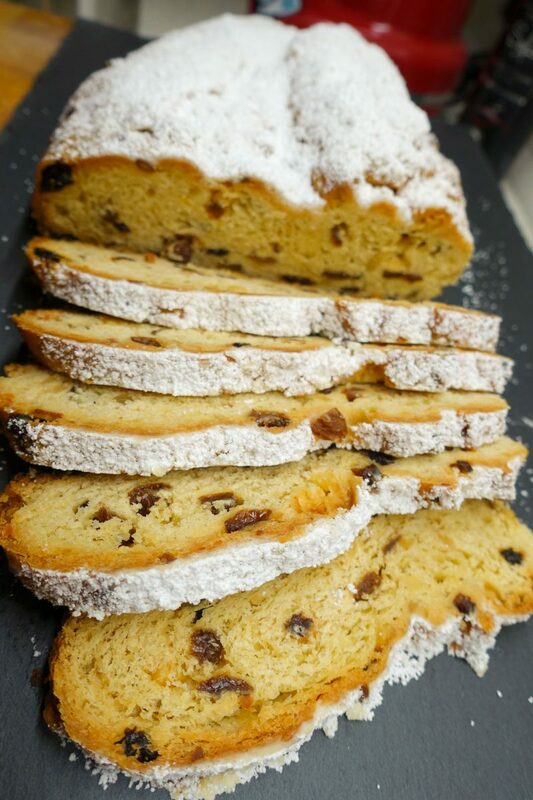 Knead the dough again, then portion it into 4 pieces, form 2 ovals , fold it lengthwise, style it in the typical German Stollen design. 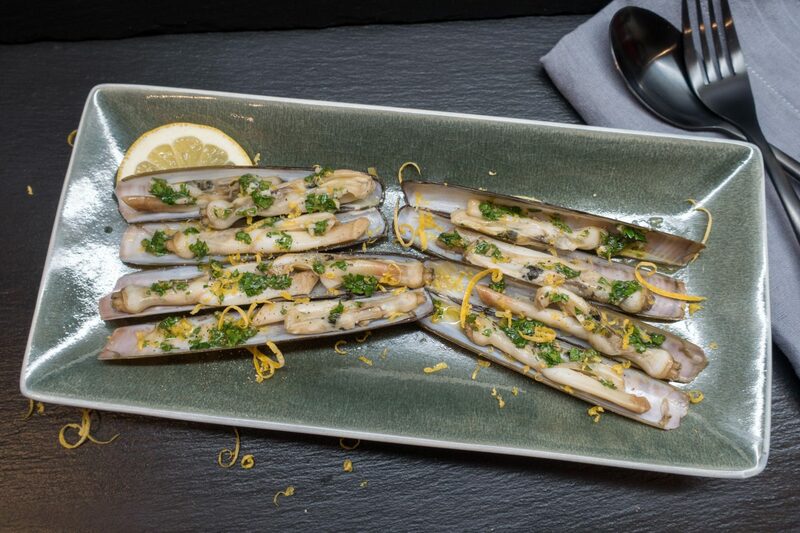 Once again, on Saturday morning, it made “pling” and a WhatsApp from our fishmonger announced razor clams. Mmhh, we knew it from the tapas restaurants in Barcelona and the Algarve, but we had never cooked it ourselves. So, today tapas at home! Monkfish is generally a delicacy, no question. 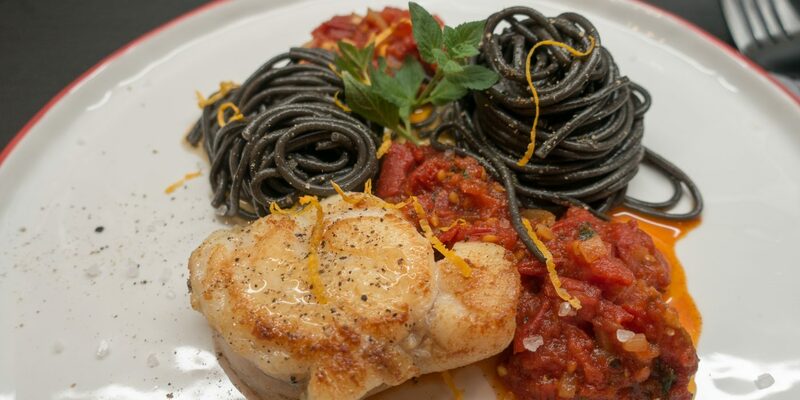 In this recipe the solid fish comes with black, sea-aromatic spaghetti. Together with the tomato sauce, which is deglazed with vodka and refined with vanilla, the plate convinces by strong, bright colors, phantastic flavors, bite-proof fish and very special pasta – all topped off with a little fresh mint. 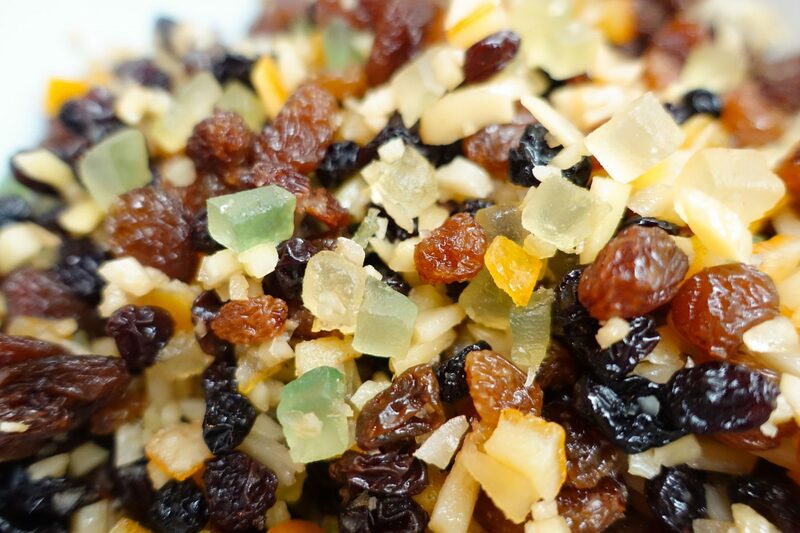 A feast for all senses!